The Mapex SV628XPH Saturn V MH Studioease 5 Piece Shell Pack in Red/Blue Sparkle is part of the evolution of professional drum sets by Mapex. The new Saturn V features the award winning SONIClear™ bearing edge and the new SONIClear™ tom holder on every Saturn V set. Adding the SONIClear™ bearing edge to the Saturn V clearly enhances the unmistakable sound and increases the tuning range. The SONIClear™ eliminates the age-old problem of rack toms not resonating to their full potential after they're mounted on a stand. The tom holder also dramatically increases sustain and fullness of tone by preserving vibration in the head and shell and preventing energy transfer to the hardware. This Saturn V MH shell pack features 6ply toms, and an 8ply bass drum constructed of North American maple and walnut hybrid shells with beautiful chrome hardware. 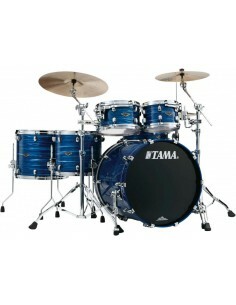 They are crowned with Remo Emperor clear batter drumheads and Remo P3 Batter bass drumheads. 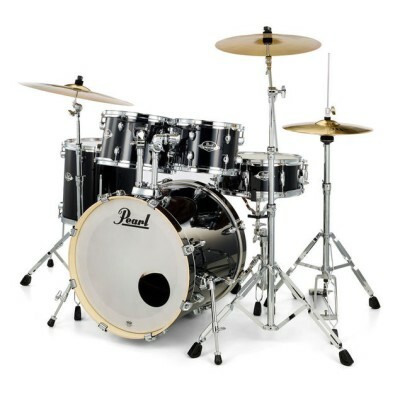 This shellpack does NOT include cymbals, cymbal stands, or a snare drum.